I'd like to share my observation on how Fort Worth home buyers are changing the way they search and find homes. More and more people are looking while "on the move" using mobile Apps to gather information on homes and local areas. Yes "there is an App for that". According to NAR 90% of Fort Worth home buyers start their search online but how they search is changing rapidly. Smartphones and tablets are what they are using. Our Company Reata Realty has responded to this by offering web sites that function to a high level on both devices. Our web sites are delivering instant updated property information to all mobile devices. The "drive by" house hunt is still very much alive but has been elevated to instant response text from one of our marketing specialists. You are talking to a human not a recorded message. Response time is instantaneous and can be answered with a text or phone call. Mobile versions of Reata Realty websites are providing instant information about the home, pictures and neighborhood information. We are all about Hyper-Local. Over 50% of people who own a laptop, smartphone or tablet say they "multi-screen". So as they are driving the neighborhoods they are watching the Cowboys game on Sunday afternoon while searching for homes. Think about that. Reata Realty does and we are responding to provide the Fort Worth home buyer with insider tools that are user friendly and relevant. Here is a list of helpful Apps to help a Fort Worth home buyer organize a search for a Fort Worth home. Pintererst and Houzz Home decorating ideas and improvements. Mint and Manilla to organize and set your financial goals for closing costs and to track your progress. Fort Worth home buyers today are using Google as an information resource when driving through neighborhoods. 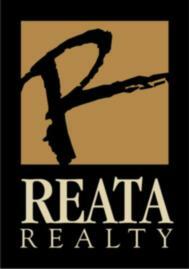 Personally I think a Reata Realty Specialist is a more reliable resource. Has Google ever been to any neighborhood in Fort Worth? Here are common questions buyers are looking up on their smartphones and tablets. What are the comps like? What is the big open space behind the house we like? What other homes are for sale in this neighborhood? What's the commute to work? Who is the service provider for Internet and TV ? Where are the nearest parks,hiking trails, and dog parks? There are lots of Apps out there to help answer some of these questions but not totally. The best strategy is the use of both tech and local knowledge from a Reata Realty buyers assistant. This is what we do, combine the two knowledge bases to give our Fort Worth home buyers the inside edge for purchasing a home.